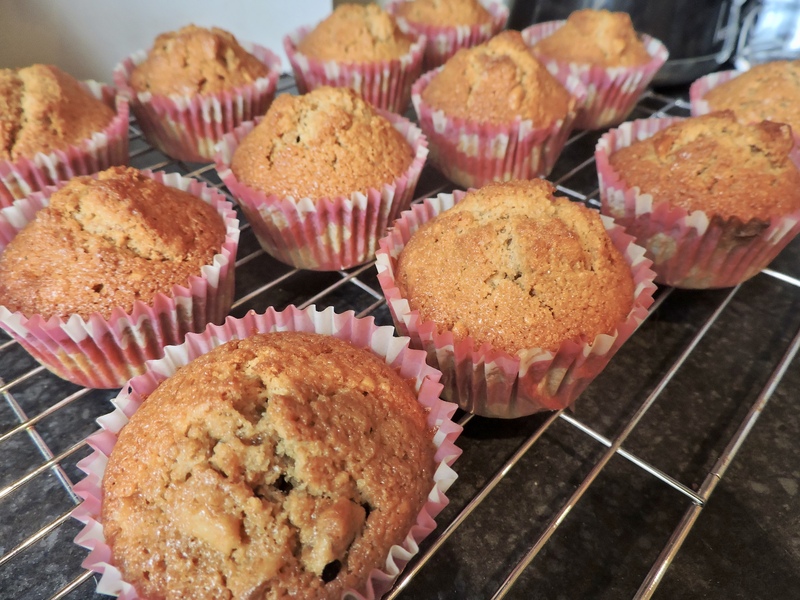 As it’s world baking day, I felt that it was a great day to share this post with you. 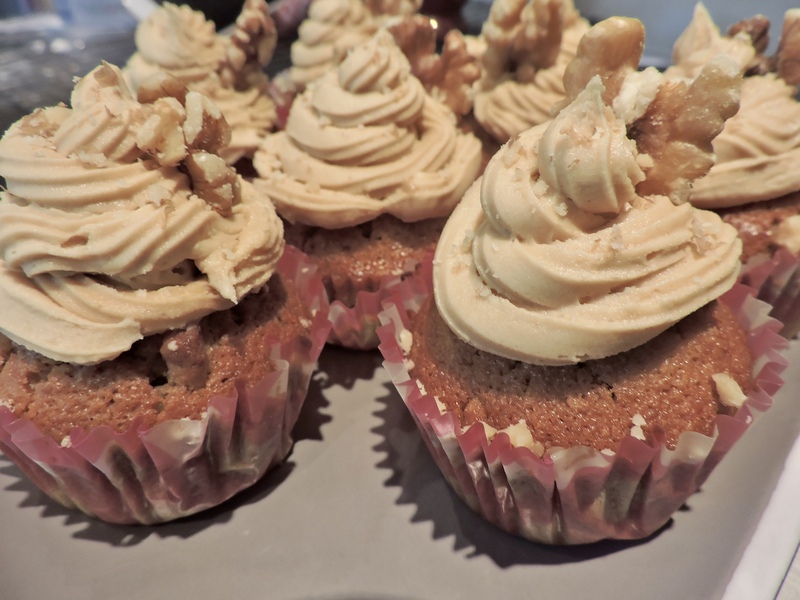 I MADE COFFEE AND WALNUT CUPCAKES!!! 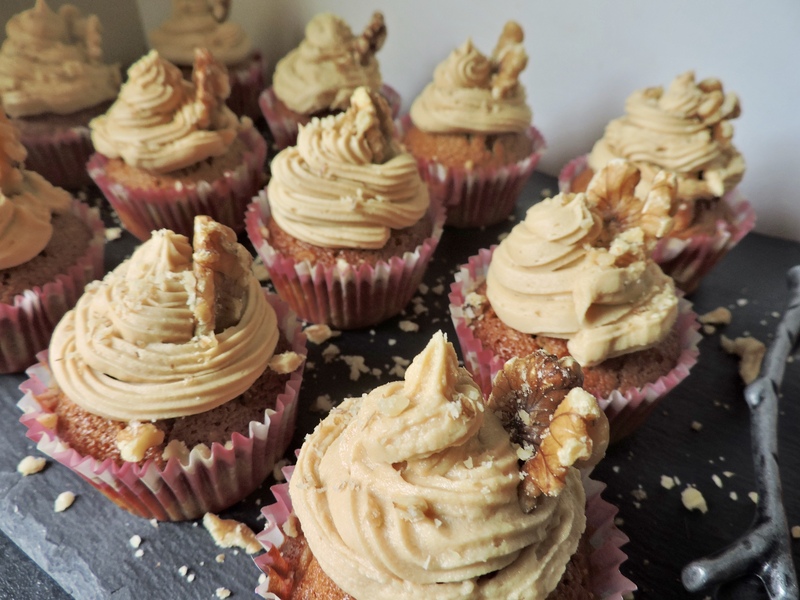 Coffee and walnut cakes are literally one of my favourite flavour cakes so I was excited to be making these. I am such a coffee addict, I can’t go a day without having atleast one cup of coffee! coffee gets me up in the morning and keeps me going throughout the day. Now, I am also such a nut lover, I love walnuts, pecans, pistachios, almonds! 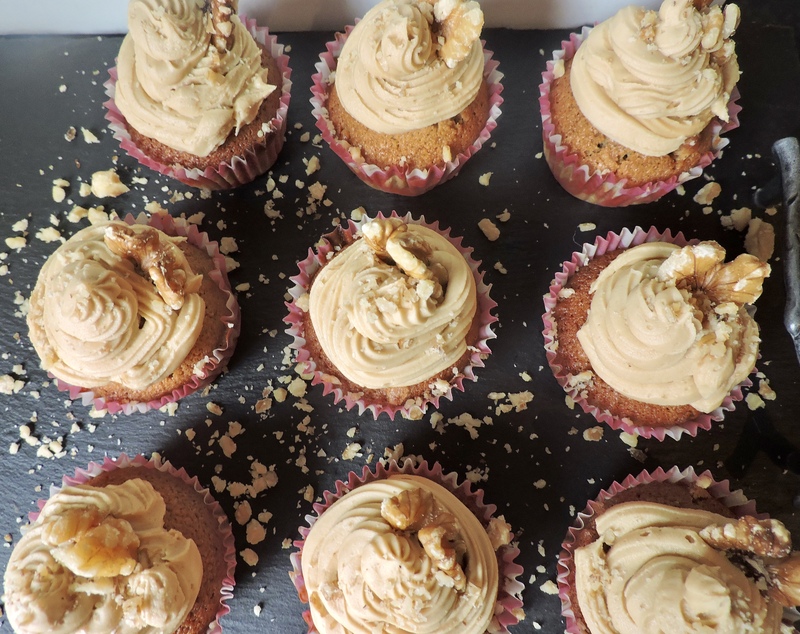 I really like coffee and walnuts cakes so I knew that these cupcakes would be nice to bake and also would taste delicious. 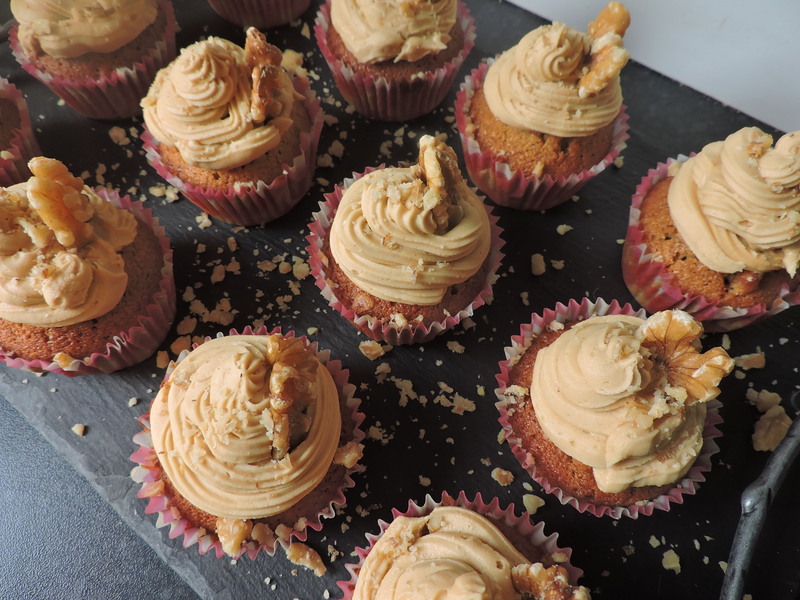 I personally enjoy nuts inside cakes, as I think it adds a little more to the cake. 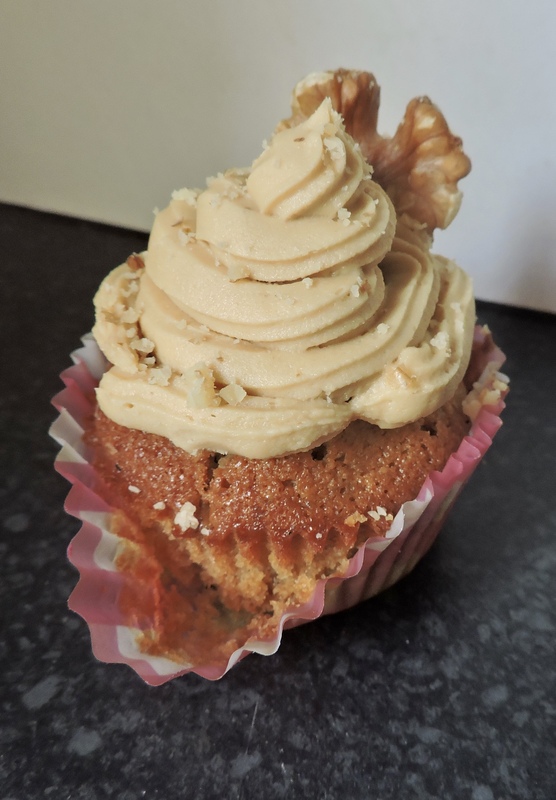 Are you a fan of nuts inside cakes, if so what are some of your favourite cakes that contain nuts??? 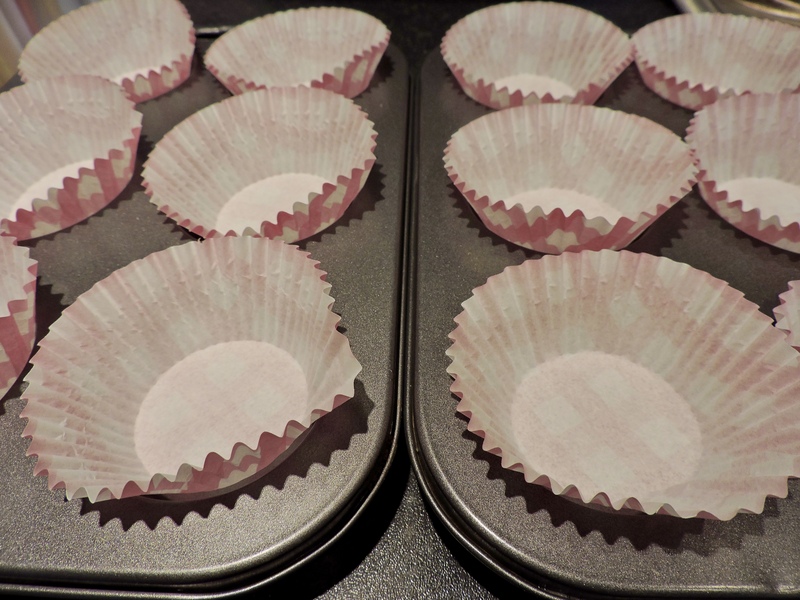 Step one: preheat your oven to 170oc and place the 12 cupcakes cakes into the cupcake tray. Step two: put 2 teaspoons of instant coffee in a pot and put 1 tablespoon of boiling water into the pot, leave the coffee to dissolve and cool completely. Crack 3 eggs in a bowl and beat. You are going to want to chop the walnuts so you don’t have to do it later. Step three: in the mixing bowl add the butter and the light brown sugar and beat together until creamy. Add in the beaten eggs and the flour and beat together for another minute until completely mixed together. After all mixed together add in the dissolved coffee and beat again until all of it is combined. Step four: add in your chopped walnuts and mix together so the nuts are evening spread throughout. After this, scoop the cupcake mix into the cupcakes cases and put in the oven for around 20 minutes (or until you put a cocktail stick in it and it comes out clean) Once they are cooked leave them on a wire wrack to cool, I like to leave them near the back door as it speeds up the process. Step one: put 2 teaspoons of coffee into a pot and add in one tablespoon of boiling hot water, same as before and leave it to cool completely. Step two: in a mixing bowl beat together the butter until creamy, then gradually add the icing sugar until it is combined together and is smooth, light and fluffy. Step three: add the dissolved coffee to the buttercream mixture and beat together until it is fully combined. 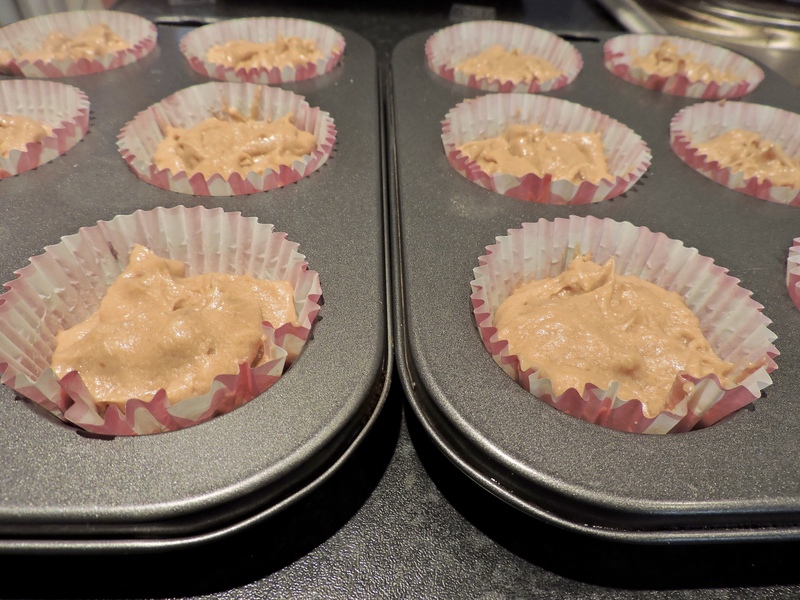 if you find that the buttercream is too think, add 2 teaspoons of water and this will make it less thick. These look so cute and amazing. I have so much adornment to technology that I wish that soon technology would come, that I stretch my hands from screen and grab such things. Just two of my favourite things! I also have a cup of coffee every morning. If I skip it I will probably sleep in a corner or I get really clumsy! 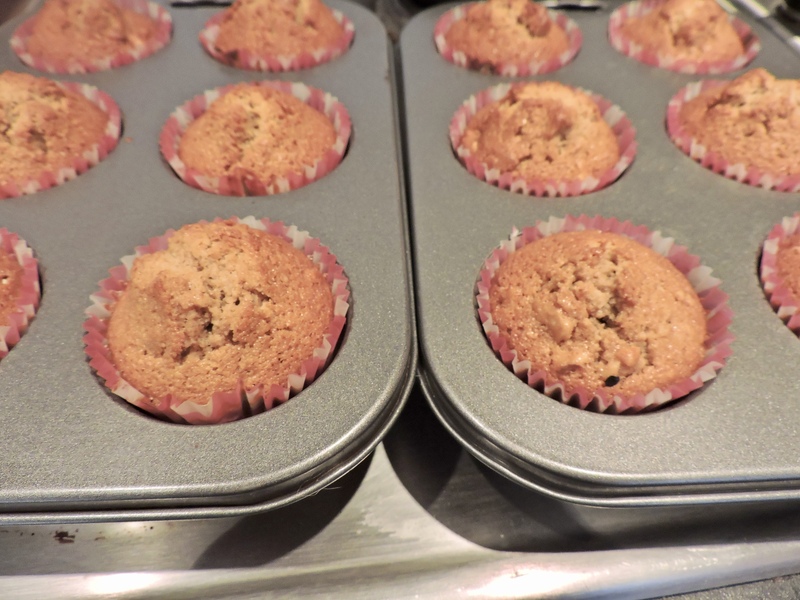 I love nuts inside my cakes (I know they are not related, but I like to have raisins in my cakes too). They taste so amazing! Your cupcakes look wonderful! Mmm, these look so delicious. I am trying to make healthier choices, but I may have to make an exception. Mmmm, these look so scrummy! I love coffee so I just know I would love these! Will be trying this recipe over summer for sure!!! These sound to die for!!! !